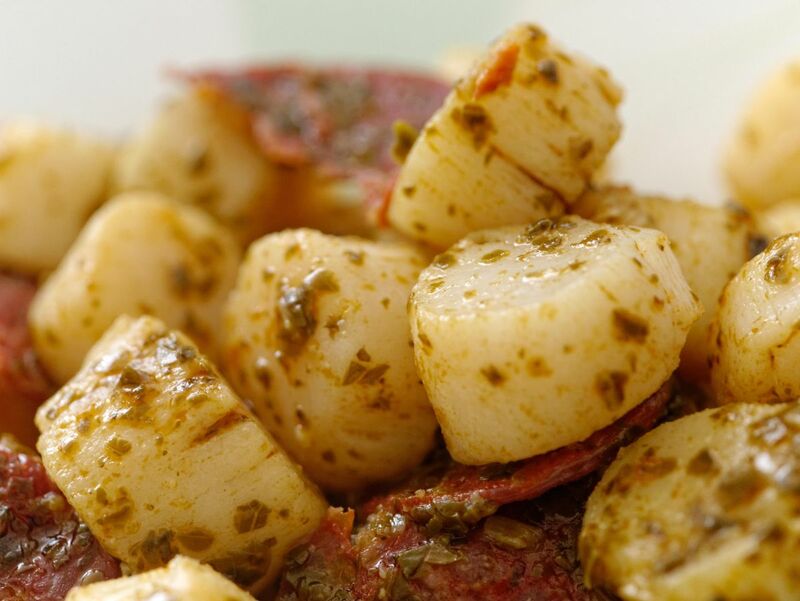 A scallop recipe by someone who knows about scallops. Digby, Nova Scotia is famous for its scallops. So where better to find a recipe than from a local chef who also happens to be the manager of Culinary Team Nova Scotia? Serves 12 amuse bouche portions. Peel and finely dice the red onion, place in a bowl and squeeze in the fresh lime juice. Season with a pinch of salt. (Always prepare the onion first, as it needs to marinate the longest in the lime juice.) Remove the seeds from the chilli pepper, dice finely, and add to the onion. Char the red pepper under the broiler in the oven or on a BBQ grill. Then peel, discard the charred skin and the seeds, add any liquid to the onion, then finely dice the pepper and add to the onion. Finely slice the green onion and add to the onion. Chop the cherry tomatoes and tomatillos, and add them to the onion. Twenty minutes before serving, dice the scallops and add them to the onion mixture. Just prior to serving, wash and dry the cilantro and the parsley, then chop coarsely and add in. Check the seasoning, then serve. Claude AuCoin is Executive Chef and Sommelier at Digby Pines Golf Resort and Spa.